Tommy Vogel will be offering art lessons in pastel Mondays, Tuesdays and Wednesdays by reservation. Call (850) 384-6857 to reserve your class. $35 per person, three or more $25 All supplies included, a painting will be completed during each session. The white sands and the beauty of the Gulf Coast brought Tommy and his wife Judy to Lower Alabama after retirement. He is a self-taught artist and works in realist form using pastel. His subject matter covers a wide range, from tropical to still life. “Learning to do anything well is not an overnight accomplishment,” Vogel said. When people ask the key to creating fine art, Vogel always tells them it requires practice and more practice. 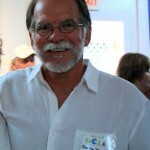 His work hangs at the GCAA Art Gallery and other galleries in the Gulf Coast area.